We interrupt your regularly scheduled blog posts to announce that I'm over at All the Wonders today talking about the beautiful and brilliant Swatch: The Girl Who Loved Color by Julia Denos. If you haven't already had a chance to stop by ATW, now is the time! In addition to my post on movement in Denos' illustrations, you'll encounter a whole slew of fun activities that will take you beyond the book, including an interview with Julia Denos by The Children's Book Podcaster Matthew Winner, and an amazing, hands-on activity designed by Katey Howes and Mike Ciccotello where you get to tame your own colors! 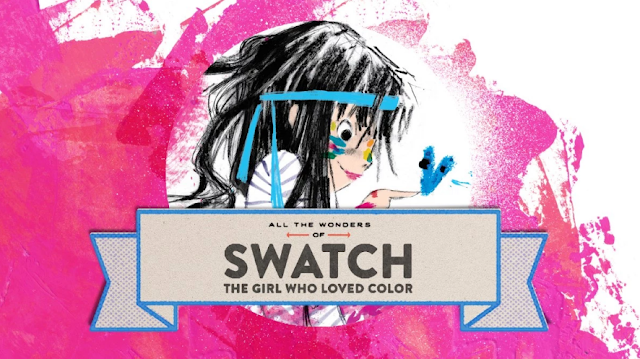 I'm so, so lucky to be working with such an amazing team of children's book writers, illustrators, and enthusiasts, and I hope you'll come join us to see All the Wonders of SWATCH!